Exploring valuation methods for mining companies is a bit like hopping down a rabbit hole. Focus is essential. With fluctuating prices and periods of guaranteed profit loss, this is one of the most difficult industries to assess. This isn’t a job for newcomers, so make sure the professionals you use have relevant experience. Mines are unlike any manufacturing or service-based business and you don’t want to settle for less than expert valuation services. Mining is a controversial industry. Those hot-button issues have the potential to make a significant impact on company value. First, there is the timeline for establishing the business before work can begin. Given the materials and machinery needed – often made to spec – the process can take five to 10 years or more. Interest rates and the owner’s ability to get the best financing can make or break a company before it has a chance to turn a profit. There are geological concerns, climate control issues and the advancement of new technology to consider. The changing nature of the market doesn’t always depend on supply quality or even supply itself. Alternatives regularly replace traditional materials. In one unsuccessful application, the bottom can fall out of the market. That’s to say nothing of the social factors impacting the mining world. Unrest has a regular presence in much of the mineral-rich world. How will warring factions impact an operation, and what will the need for security do to the company’s budget in the meantime? Finally, there is the ever-present threat to profits: depletion. Mining companies deal with finite resources. Eventually, every well runs dry. At the beginning stage of a mining project, there is just land with a chance of producing material from deep inside the ground. The site’s potential to produce and the cost of the tests needed to pinpoint that potential are what determine the value. Exploratory mining projects are a practice in prospects. Investors are going forward, for the most part, on educated assumptions. These assumptions form the basis for whether site testing will be worth the expense. How much someone is willing to pay to option a stake in a venture is a good indication of the value. The cost of testing before the valuation and future testing needed to take the mine to the next stage in development establish the price. With more data on the presence, amount and quality of material in a mine, as well as the work needed to retrieve it, valuation often changes. Option values change over time as well, so this method is one of the few that applies from the first to last stages of mine operation. This is one of the most widely used valuation methods in the mining industry. Comparing similar properties is a cornerstone of all valuations. 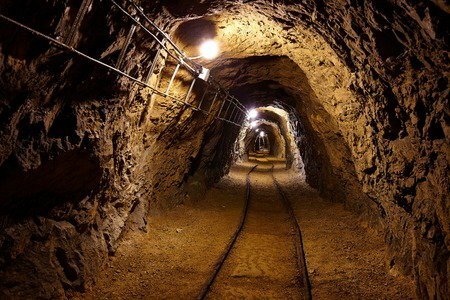 Whether a mine is still in the exploratory phase or has previously produced under other ownership, looking at the performance of similar properties gives you a soothsayer’s view of the health of your project. Comparable transaction analysis relies on EV-to-EBITDA or “Enterprise Value” to “Earnings Before Interest, Taxes, Depreciation and Amortization.” Assessors consider figures from the previous 12 months. Unfortunately, this method relies on access to existing data, which mining companies often try to keep under wraps. For this reason, many appraisers use this method in conjunction with other methodologies, so much so that it would be questionable for a mine valuation to completely discount site comparison data. One of the most popular valuation methods involve a mine’s net asset value over the life of the mine. Given the technical reports available for projects beyond the exploratory phase, investors can determine how much material the mine will likely produce, estimate the costs involved in retrieving it and estimate the value of that material over time. As common as it is, however, it’s clearly a method which relies heavily on “educated guesses” to produce accurate results. Even the simplest valuation methods for mining companies are complex compared to other businesses, so working with a knowledgeable professional is key to achieving accurate results. Get in touch with our expert team at Global Valuation today to find the right assessor for the job.